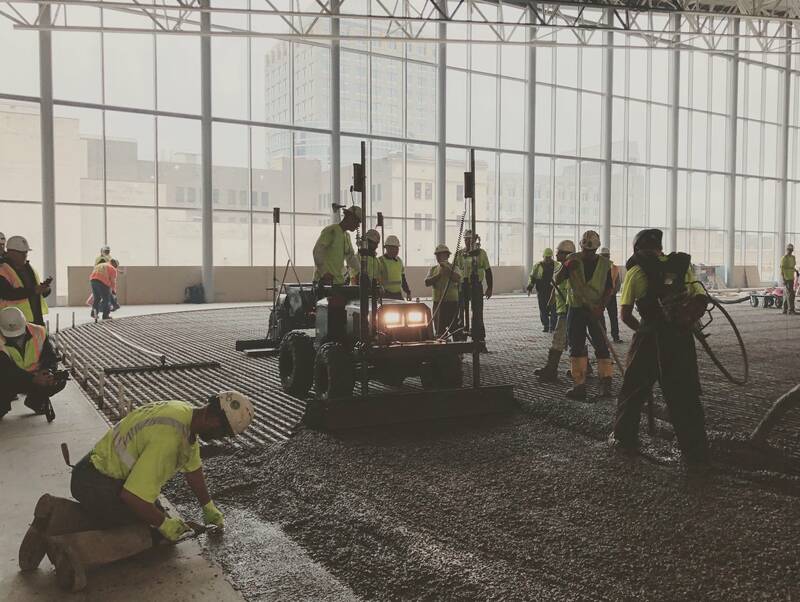 Updated: 4:35 p.m. | Posted: 4:00 p.m.
Construction workers poured more than a half million pounds of concrete on the Minnesota Wild's new practice rink Thursday, as construction on the old Macy's building in downtown St. Paul draws to a close. Called the Treasure Island Center, the building will house the Minnesota Wild's new practice rink, restaurants, a brewery and shops. Minnesota Wild Vice President Jamie Spencer said they're hoping that more than 600,000 people will visit the center each year. "As we all know, this was a very barren, black hole in the middle of St. Paul," Spencer said. "When you think about the [Minnesota] Children's Museum that just got renovated, the Palace Theatre, to now this, basically five-story multi-use facility — this is a game changer for St. Paul." Offices for the Minnesota Housing Finance Agency have already opened in the building. 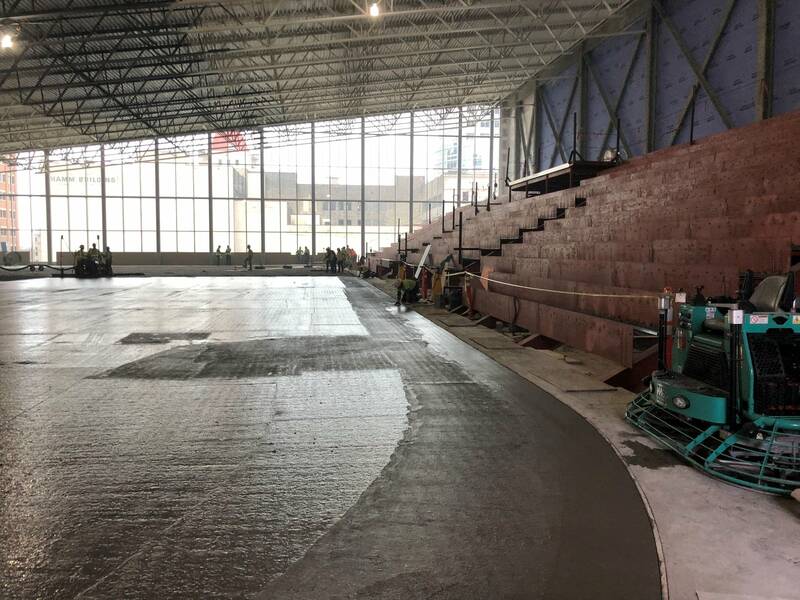 The rink on the building's 5th floor, which previously was an open-air parking ramp, is expected to open in mid-December with seating for 1,200 and six public locker rooms. The Minnesota Wild could start using it as soon as January. Spencer said the rink will also be used for recreational hockey, youth hockey, mid-day skating, figure skating and other activities. "Boys, girls, men, women will be skating here basically every night of the winter," Spencer said. There are nine miles of refrigeration pipes installed under the concrete of the rink. Ice will be added in early December after the concrete cures. Developers say the center will include close to 700 parking places when the project is completed.